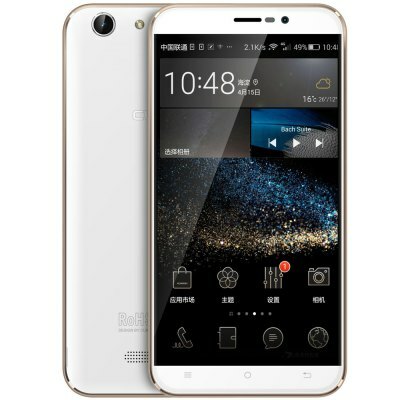 When we reviewed the Cubot X17 recently, the budget smartphone that packs a wallop, we didn't think that Chinese phone maker Cubot could put anything together cheaper than that. Oh, were we wrong. We review the ridiculously, insanely, criminally cheap Cubot Note S.
What is it? 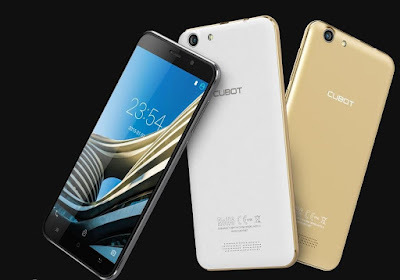 Well, the Note S from Cubot (just like the Note series from Samsung) is a phablet with a 5.5 inch display, which, in the hand, feels very much like the aforementioned Samsung Note 2 or 3. But (and this is one hell of a but, baby) it costs not much more than £100! Yes, this large screen smartphone, running Android 5.1, is only fifty quid. No way. Way. In fact it isn't just the large screen (1280 x 720p) that is impressive, as the Cubot Note S also boasts 2GB of RAM, 16GB onboard memory (expandable thanks to the Micro SD Card slot), and a 8MP main camera, as well as a 5MP selfie cam. All that, and it even has a metal frame exposed around the edge. The large size of the phone is also used very well to house a larger-than-normal battery; 4150mAh in fact, which delivered (in our tests, anyway) well over a day's worth of medium use between charges. So there is a hell of a lot going for this phone, right out of the box. Having said that, there would be a hell of a lot going for any 5.5 inch smartphone running the latest version of Android costing £100; the fact that Note S has pretty decent specs is a massive bonus. Weirdly the Cubot website (which is very 'Chinese translated directly to English') styles the Note S as being “For the young.” As it is their largest handset, that is a bit confusing, unless of course they actually mean 'young at heart', though we doubt it. Actually giving this phone to child or young person wouldn't be an awful thing though, as the large and clear screen (which ships with a screen protector already attached – bubble free and straight, no less) is great for games and videos. The Cubot Note S also comes with an included jelly case, which certainly helps to keep it safe should the kiddos drop it. A solid and reliable phone with an all round resounding 'good', the true reason to get the Cubot Note S is that unbelievable price. This smartphone (plus a SIM only contract) will see you right for a good long while, with specifications and features that far out reach the cost. But seriously, as a media device for kids, which ships with screen protector and case, the Note S is very attractive. this probably isn't the best slogan for the box!